This completely updated guide offers practical information for planning your trip; driving itineraries that take you deep into the countryside through idyllic villages and to ancient castles; and personal recommendations for outstanding hotels in England, Scotland and Wales. The reviews are warm, engaging and up to date and written with the belief that where you lay your head each night makes a difference to your holiday. Only the most charming places to stay make it onto the pages - no hotel can buy its way in, and those not maintaining their standards every year are dropped. 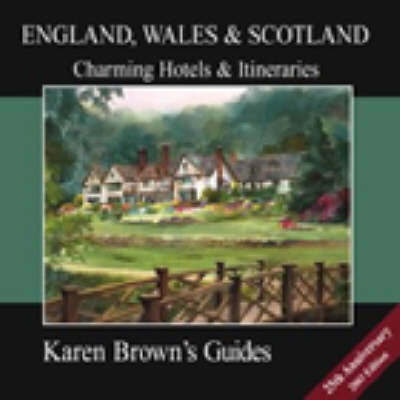 The Karen Brown Guides are so reliable that travellers have come to plan their whole holidays their recommendations.